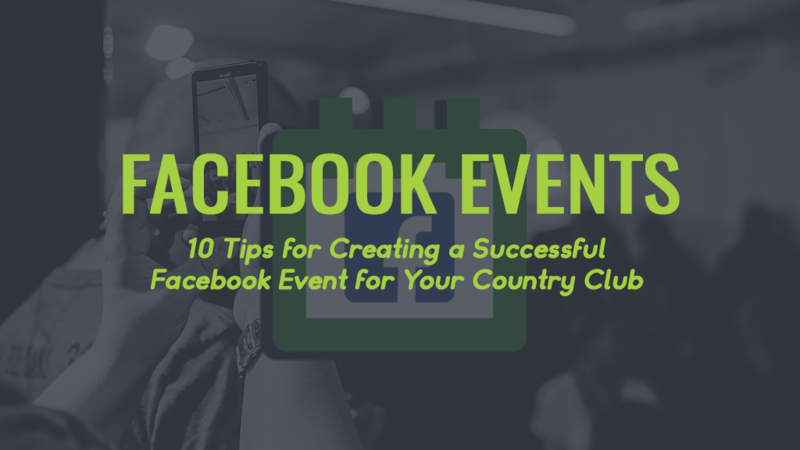 If you aren’t creating a Facebook Event for your country club, you’re going to be blown away by what a difference it can make. Here are our top 10 tips to get you started planning your clubs next event using Facebook Events. First and foremost, planning is essential in maximizing reach for your event. People need time to plan, and research shows that seeing things 2-4 times helps people remember them better. If you show your members the event four times in one week, all you’ll do is annoy them. Try to give yourself at least a month to promote your Facebook event gradually. If your audience has to go anywhere else besides the Facebook event to find out more information, you’re likely to lose a percentage of them right off the bat. The only exception for this is if you need to link to a website for purchasing tickets to the event, or to submit an RSVP form. Give all the details of the event in an organized format in the description. Use headings and separate chunks of information with line spaces to make it easy to read and digest. This is one of the most often overlooked parts of creating a Facebook event, and it’s one of the most important. The cover image for your event is an excellent opportunity to give people just enough information to pull them in. Sub-par graphic design has long plagued the private club industry. This is often due to not having the right tools/ software to create high-quality imagery. Our team has been hard at work creating a tool which will be released in early 2018 that will allow users to create extremely high-quality graphics in minutes by starting with pre-designed templates. Another awesome feature is the ability to resize the graphic with the click of a button for other specific sizing formats – so with the click of a button, you can have graphics sized for Facebook Events, Facebook posts, Instagram stories, Instagram posts, and everything in between! We’re super excited to release this tool to the private club community. The feedback we’ve received from our beta testers has been the tool saves them hours every week AND allows them to produce higher quality designs! Regardless of how you make the graphics though – make sure to include the date, time, and your club’s logo with a high-quality image as the background in the cover image. There are a few specific things you can do when creating an event to take advantage of Facebook’s resources. The first is to make sure that a location is added to the event. When creating the event start typing in your club’s name in the ‘Location’ option and when it comes up, select it. Another way to optimize your event is to use keywords for the tags tab. Use words that your members would likely list as interests on their profiles (i.e., tennis, golf, swimming, etc.) Facebook uses these tags to recommend events to people whose interests match your tags. When you create the event, you will be given the option only to let you, the host, post to the event wall. By not selecting this option, you give the public the opportunity to ask questions, post images and videos and even network with other people who may be thinking about going right on the event wall. It’s a great way to interact with potential and current members whom may be interested in coming to the event. Using the link to your Facebook event, spread the word on other social media platforms such as Twitter, YouTube, Instagram, and Snapchat. For YouTube, you could create a quick promotional video using a simple software like Animoto, and in the description of the video on YouTube, you can place the link to the Facebook event. Then, you can share the video on your country club’s Facebook page and in the Facebook Event itself. Snapchat now lets you add a location and links to your stories so you can promote your event within Snapchat, too. When someone goes to the map on Snapchat, they can view the locations story and see your event. If you link the Facebook Event to the image (or video), you upload they can swipe up and view that event right there! 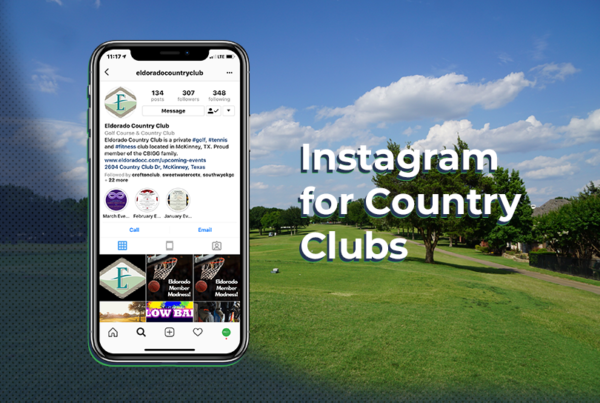 For Instagram, you can include the link in your story as well as placing it in your country clubs profile for the weeks leading up to it. Be sure to make a few Instagram posts that tell people they can find the link to the event in your profile. Also, make sure to utilize Instagram Stories for the days leading up to the event to show preparation and what to expect! Another place to share the event link is on your website and in your email newsletters that you send to your members. 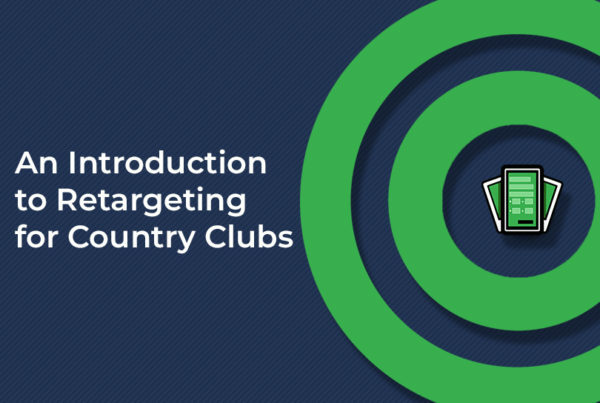 These are easy ways to directly promote the event to where your members are looking for information on your club and upcoming events. Solely creating an eye-catching, informative event on Facebook and then walking away just isn’t enough anymore. You have to tend it like a garden. Stay active posting in the Facebook event with updates, reminders and even tips or tricks for making the most of the day. Share the event on your club’s Facebook page once a week or so to remind those who were interested and show people who may not have seen it the first time you posted it. 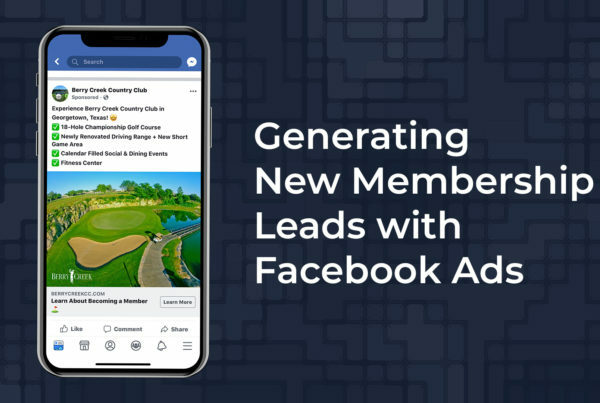 After you’ve reached your main members, it may be time to consider running some Facebook ads to reach more people and increase attendance at your event. We understand country clubs may not want to invite non-members to the events, assuming it is a private event only for members. If that is the case, consider uploading your member list as a custom audience and individually target the ads to them. Just like you can boost posts on your page, you can also promote events. Choose your target audience and your budget, then click boost and you’re all set. Content is still king in the world of digital marketing. Blogs and videos are by far two of the most valuable content sources today. Creating quick videos is easy with the resources listed earlier when we discussed cross-promoting on YouTube. You can also write blog posts about past events, how to make the most of this event and on any topic that relates to the event at all. It doesn’t have to be anything fancy; it could be as straightforward as a photo gallery or a video that recaps the event! Content like this works to boost every aspect of your digital marketing efforts. You can share it in the event, on your club’s social media pages, on your website, and in your email campaigns to members. Blogs are also a great way to help boost your SEO! Remember that content you created to help promote your event? Don’t forget to create just as much, if not more, astounding content DURING the event. Take tons of photos and videos, or hire someone to do it for you. Use your next email newsletter to show off how well the event went, write a blog post about the highlights of the event and post photos and videos on your social pages. You can even save some of them to use later as content for social and email when you’re running low on ideas. And look, we get that there is a lot you can (and should) be doing to help grow your attendance at events. We are always here to help! We love to help country clubs and golf courses grow, so if you would like to get someone to make sure it is being done RIGHT, feel free to contact us today!